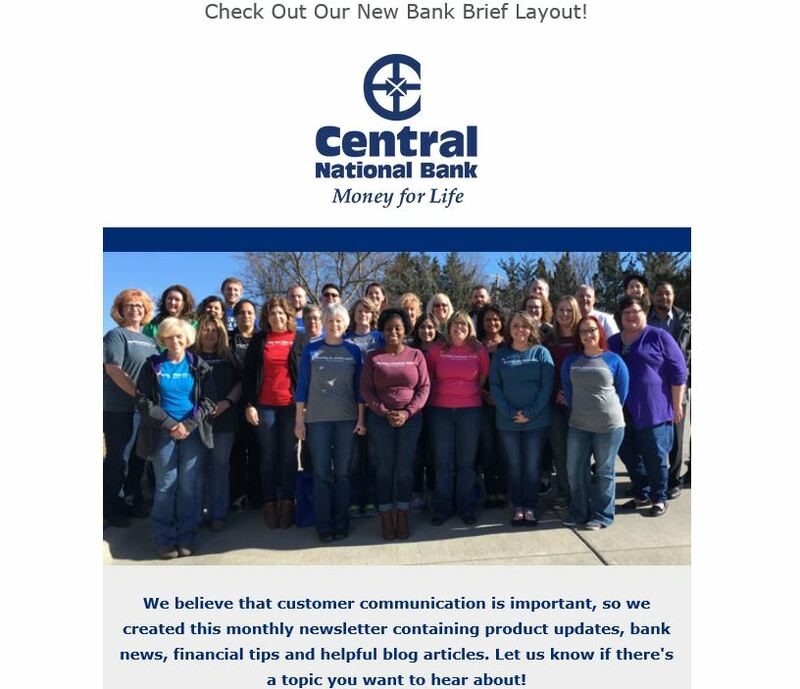 We’ve remodeled our monthly Central National Bank Brief email in an effort to make it easier to read on all email platforms. And since we often talk about cybersecurity and online privacy issues, we felt it was important to let you know about these changes. If you ever have questions about the validity of an email from us, don’t hesitate to ask! Our staff is familiar with how our emails look and will be able to let you know if the email was sent by us or not. Remember, if you have any concerns about the legitimacy of an email or its source, do not click any links in the email until after you get verification that the email is from a trusted source. We do not solicit your personal information by email. If you do get an email requesting such information, do not give out any further information out and proceed with caution. While the format may have changed, the overall purpose of our newsletter will remain the same. We will still include links to our blog articles and useful bits of advice, as well as banking news we think our customers should know, or even just announcements about new promotions. In addition to this, we love feedback! If you think there is anything we could do to make our newsletter a better read, or more beneficial to our customers, let us know! Your voice will be heard and we will see what we can do to implement your recommendations. As always, thank you for banking with us!